Let this simple, colorful, 2 ball bowling bag fill your needs exactly as it should. With sturdy construction and user friendly design, this bag is exactly what you need to keep your performance technical, and your transportation simple. Im sure you can use this as a carry on. This roller will store one pair of shoes up to a size 15. 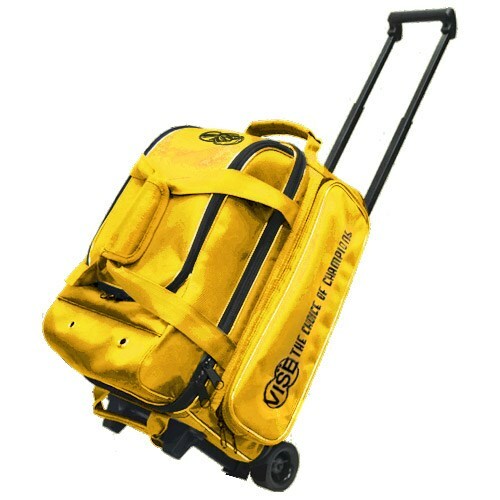 Due to the time it takes to produce the Vise 2 Ball Economy Roller Yellow ball it will ship in immediately. We cannot ship this ball outside the United States.